The union budget 2014-15 presented in the parliament on July 10 has given Rs 83,771 crore for HRD ministry (an increase of 12.3% from last year), The Sarva Shiksha Abhiyan, which is the programme for the implementation of the Right to Education Act, got an allocation of Rs 28,635 crore, an increase of Rs 1,000 crore, Rashtriya Madhyamik Shiksha Abhiyan got Rs 4,966 crore, while the Mid-Day Meal Programme has been allocated Rs 13,215 crore. A Rs 500 crore teachers training program named after BHU founder and legendary educationist Pandit Madan Mohan Malviya, Rs 100 crore Communication Linked Interface for Cultivating Knowledge (CLICK) and online courses for spreading virtual classroom, Rs.30 crore for School Assessment Programme are some other highlights. In higher education, new 5 IITS and 5IIMs have been announced besides two agriculture universities in Andhra Pradesh and Rajasthan, two horticulture universities in Telangana. and Haryana, New research centres in Assam and Jharkhand, Sports University in Manipur and Jai Prakash Narayan National Centre for Excellence in Humanities in MP. In skills and jobs, a corpus of Rs 10,000 crore for providing equity through venture capital funds, quasi equity, soft loans and other risk capital specially to encourage new startups by youth, a national multi-skill programme called Skill India are proposed. There is also promise of employment exchanges to be transformed into career centres. The government proposes Rs 100 crore for the Young Leader Programme. Beti bachao beti padhao” scheme for making education more accessible to women and digital India to bridge the digital gaps are other major announcements. The Government as per budget will be spending around Rs.28, 000 crores for sanitation in primary schools. The state of sanitation and hygiene in many of primary schools is quite below par and definitely needs a lot of improvement. “Elementary education is one of the major priorities of the Government. There is a residual gap in providing minimal school infrastructure facilities. Government would strive to provide toilets and drinking water in all the girls school in first phase, “ Arun Jaitley said in his budget speech in parliament. According to Ashish Dhawan, Founder and CEO, Central Square Foundation, “The Union Budget announced today reflects the government’s commitment to drive policy reforms in e ducation focused on improving quality. We appreciate that the government has maintained a commitment to the important issue of education.” At the same time people have questioned the wisdom of the government in continuing with populist announcements regarding premier higher education brands, IITs, IIMs, AIIMS. “Budget seemed like a statement with a list of promises drawing on what was put out on the BJP manifesto. We know the existing IITs and IIMs have problems that need fixing from filling faculty vacancies, adequate facilities for students and upping their game with respect to research output and competing on a global platform. Capacity b uilding is not about buildings and labs, it is about teachers, quality, good value education and I wonder if we are going to continue making announcements of adding more without getting down to the business of stemming the rot in education,” says . 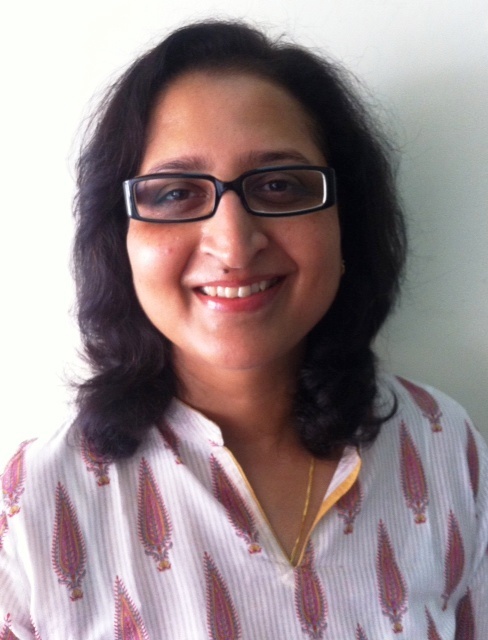 Lakshmi Iyer -Director and Head of Education at Sannam S4 Consulting. 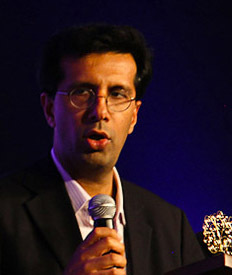 Anirudh Motwani, Founder and CEO, IndiaCollegeSearch.com adds more to this argument by saying that Unlike the startup sector, the government’s motives here seem very convoluted and less than noble – setting up IITs, IIMs & AIIMS seems like the kind of quick fix that gets proposed without considering cost benefit analysis. 11 new IITs were have been set up during the last few years. During a recent social media survey by ICS, of over 8,000 students surveyed, the vast majority felt that the IITs were now over-rated and several other institutes (such as NITs) were now equal to or better than most of the IITs – this is almost entirely down to the brand dilution resulting from the new IITs. ) ICS recently did a piece on how hundreds of students have rejected the new IITs and chosen to go elsewhere leading to a loss of face for the premier institution and the first time it has had to publish a second cut-off – the article was shared extensively across social media. Unlike engineers and doctors (working in the private sector with limited social impact), a dilution in the brand of say AIIMS doctors would affect our trust in the healthcare system in general. “ These initiatives leave a lot of questions unanswered: Why IITs and not NITs or RECs? Why these states and not others? What is the advantage of having the same brand across the country when institutes such as DTU, NSIT & MAMC (Maulana Azad Medical College) already exist and could use an infusion of funds? “ he wonders. While saying setting up five IITs and IIMs is a welcome step, Dhiraj Mathur, Leader Education, PwC India feels the private sector has been left out. “There is no mention of involving private sector participation in providing higher education. This is a departure of the recommendation made in the Economic Survey that Government spending must focus on providing public goods – higher education does not fall under that category, “ he adds. Another questionable stance of this government that many experts feel belittles government vision on youth of this country is defined role of skills ministry and mainstreaming skills with education. “The budget did not spell out in detail about the role and the budget of the new skill ministry,” asks T. Muralidharan, Chairman & Managing Director, TMI e2E Academy. “Merging the education sector and skill training can help in adding credibility to such trainings which currently fail to attract the youth. Proper accreditation can encourage them to train and be absorbed in the workforce. We can expect that accreditation systems for such trainings will be re evaluated. This will also ensure the semi-urban and rural youth to be a part of the mainstream workforce,” feels Sachin Adhikari, India’s first Transformational Training Designer & Chief Mentor of Achiever’s Zone. At the same time proposal to ease and simplify norms to facilitate education loans for higher studies has been widely welcomed.” “We welcome the Finance Minister’s proposal to easen and simplify norms to facilitate higher education loans for higher studies. This is a step in the right direction as it will encourage students to dream and aspire to take up professional programs,” says Fr. E. Abraham SJ, Director XLRI, Jamshedpur. The announcement for of virtual classroom has also been received skeptically. “100 crore budget for digital classroom seems insufficient to make any impact anywhere as this can only install a few thousand classrooms across over a million schools. In my opinion, changes to the definition of service tax exempt educational services will prove to be a burden on educational institutions. Most outsourced services that schools & colleges avail – expert lecturers / Teacher Training / Technical support services will now cost 12.36% more,” says Sameer Bora, EVP Research & Development. Next Education India Pvt. Ltd. According to Iyer quoted earlier, online modes of learning is a necessity in India where capacity issues are posing us huge challenges. India is a top participant in popular MOOCs like Coursera, good to see that at the national level the Government is wanting to make a start. Again credentialising the competencies people gain in these virtual classrooms will be important; perhaps an area where foreign institutions can actively play a role. According to Shantanu Prakash, CMD, Educomp Solutions Ltd, “We congratulate the Finance Minister for making a strong pitch for online education to bypass the limitations of access to schools. It is expected that both these thrust areas will receive incremental allocations in the budgets to follow and that these small beginnings in these critical areas will convert to a long term policy with budgetary allocations to match”. Govt in its budget has proposed to launch a pan India Programme called “Digital India” to further bridge the divide between digital “haves” and “have-nots”. This would ensure Broad band connectivity at village level, improved access to services through IT enabled platforms, greater transparency in Government processes and increased indigenous production of IT hardware and software for exports and improved domestic availability. Union Finance Minister,Arun Jaitley said that special focus would be given on supporting software product startups. He also proposed to set-up A National Rural Internet and Technology Mission for services in villages and schools, training in IT skills and E-Kranti for government service delivery and governance scheme with an initial corpus of Rs. 500 crore. “A special focus on broadband internet in this budget, a blend of online delivery of content through elearning along with correct elements of classroom delivery will ensure that the quality and standard is not only maintained but that it also reaches every corner of the country, especially the rural population. It will most certainly have a positive impact to inspire and boost the manufacturing and services sectors.” says Vinay Pradhan, Country Manager, Skillsoft, India. Now whether all these announcements and proposals become realities on ground is another question mark on governance system in the country. Delivering on that will be a national service. “To achieve this, the Centre should include a performance based component in its allocations to states that would be contingent upon implementation of education policies and lead to greater accountability and performance levels,” advocates Dhawan. The Budget has emphasised on gender mainstreaming. The school curriculum will have a separate chapter on gender mainstreaming, which is indeed welcome. This will sensitise students, teachers and the community at large to be more sensitive to the needs of girl child and women and will promote growth of a more harmonious society. That education can deliver such important social and economic benefits to the country must raise the profile of education sector in coming years and become a priority in governance, reforms and spending for both union and states. Hopefully!